Disposable gloves are a required part of safety protection for many industries, especially those working in hospitals or medical offices. Fortunately, buying hospital gloves in bulk helps drop the already low wholesale rates when you go through Bulk Nitrile Gloves to make an order. Buying hospital gloves in bulk online makes it easier to stock up quicker on safety gear. The gloves worn by professionals in a hospital must meet all safety codes and OSHA requirements. 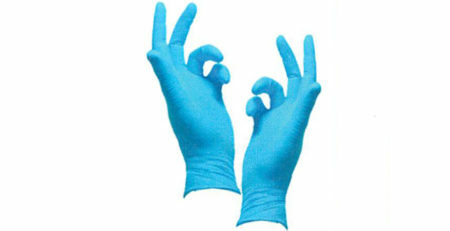 Bulk Nitrile Gloves has safety approved gloves for all industries. Our hospital glove options come in latex and nitrile. Nitrile gloves tend to be the most popular option due to their higher puncture and chemical resistance well as their advanced technology and powder-free design. Surgeons and doctors that come in contact with blood, blood borne pathogens and other substances that can cause illness or harm find that nitrile gloves provide a lot more protection at a cost similar to that of buying latex disposable gloves. Learn more about the types of medical gloves and their uses. Buying hospital gloves in bulk from Bulk Nitrile Gloves is the cheapest and most efficient way to order the gloves you need for your hospital employees. Check out our website to find out more about our high quality, inexpensive nitrile gloves. 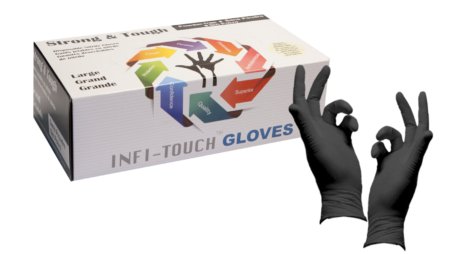 We are a leading distributor for Infi-Touch safety products and we want to make sure professionals in all industries are able to protect themselves from potential harm and contamination.